Discussion in 'Templates&Themes' started by surfer, Jan 23, 2018. Hello! Do YOU want to customize your website by adding front-end registration, profile and login forms? You can use Profile Builder - the Profile Plugin for WordPress. To achieve this, just create a new page, and give it an intuitive name (i.e. Edit Profile). Now all you need to do is add the following shortcode: [wppb-edit-profile] . Publish your page and you are done! 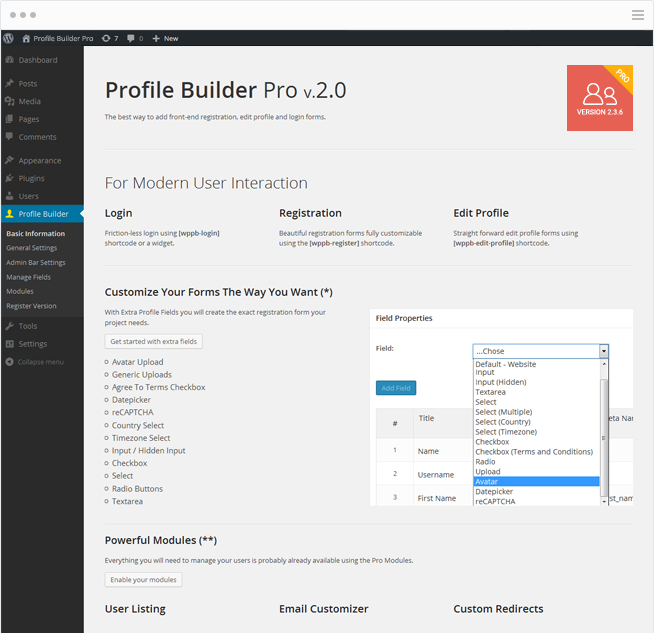 Profile Builder is the all in one user registration and management plugin for WordPress sites. Scroll down to see why.